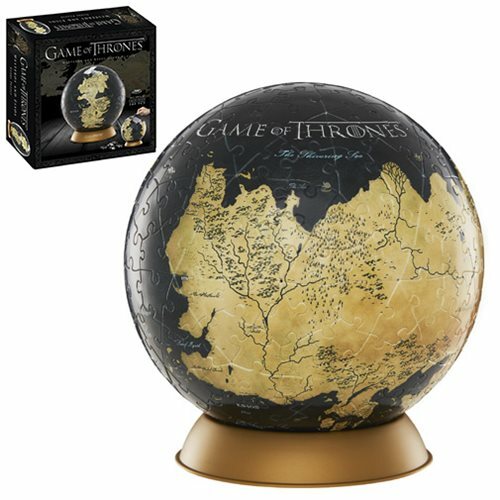 From the creative masterminds at 4D Cityscape comes this amazing Game of Thrones Westeros and Essos 6-Inch Globe Puzzle! This puzzle is a must have for fans of the HBO television series Game of Throne. The puzzle pieces are made of plastic material that snap together when assembling. When completed the puzzle forms a complete spherical map. This 6-Inch puzzle includes 240 pieces. Ages 12 and up.